Studio 214: A work in progress! In celebration of our fifth year anniverisary, and in keeping with building owner Good Arts’ mission of maximizing creative space, we are adding a new studio to ’57 Biscayne! It’s being carved lovingly out of the second-floor lobby, and will have its own door across from the main ’57 Biscayne entrance, with full access to ’57 Biscayne’s kitchen, bathrooms, and other common areas. 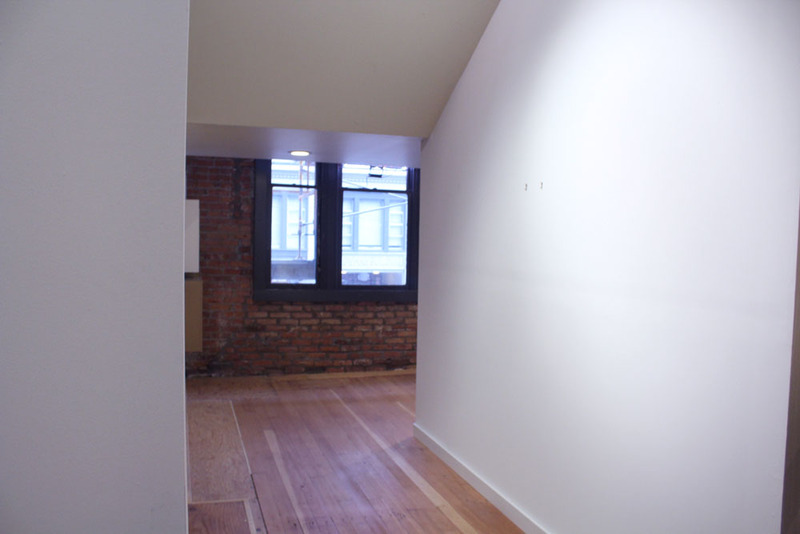 And we’re looking for a new creative community member to rent it and join the fun. It will be ready & available to rent November 1st, in plenty of time to be part of our December First Thursday Open House. 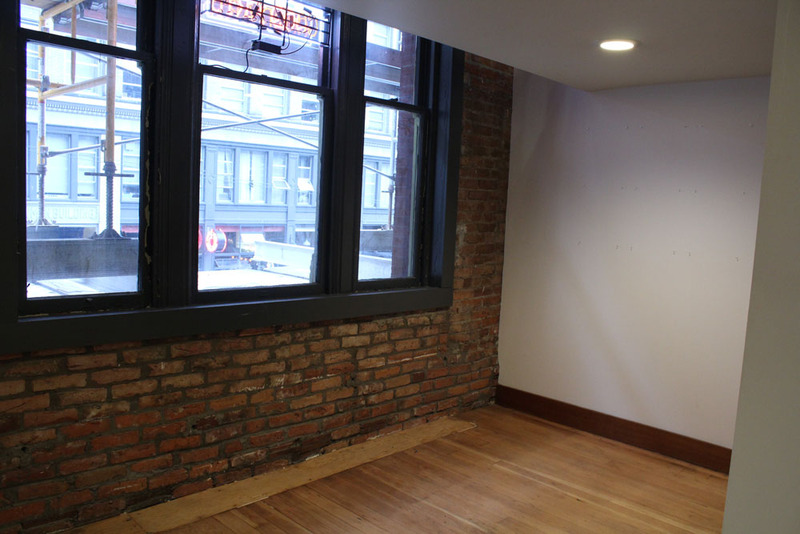 The finished space will be a 170-square foot L-shape, with variable ceiling height, operable south-facing windows, a transom for ventilation, newly refinished fir floors, a combination of track and can lighting, and loads of charm. Perfect for a painter, jeweler, or clothing designer, to name just a few. $400 monthly rent is inclusive of utilities. Available November 1. Contact Jane to find out more and take a tour. View from inside the studio looking at the ’57 Biscayne main door. 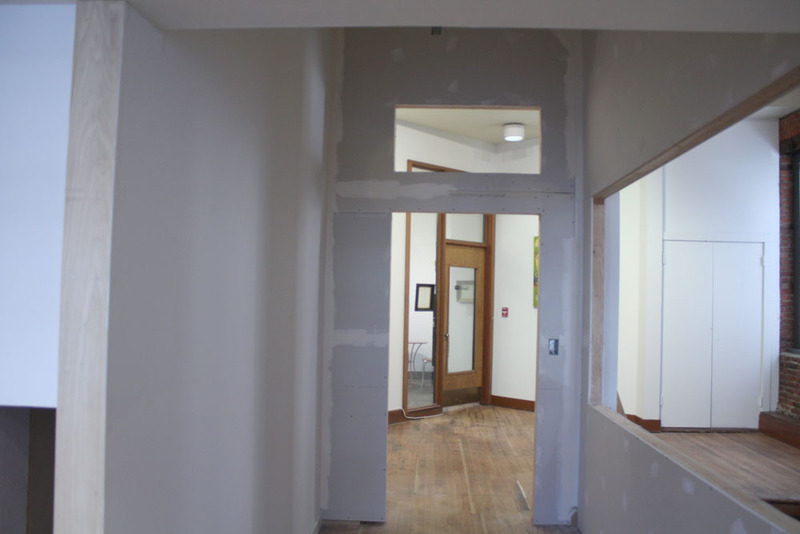 The openings are for a full-light door and transom window. This is the view as you walk into the space. The tall pitched ceiling above you is the bottom of the staircase. Windows look onto Cherry Street. 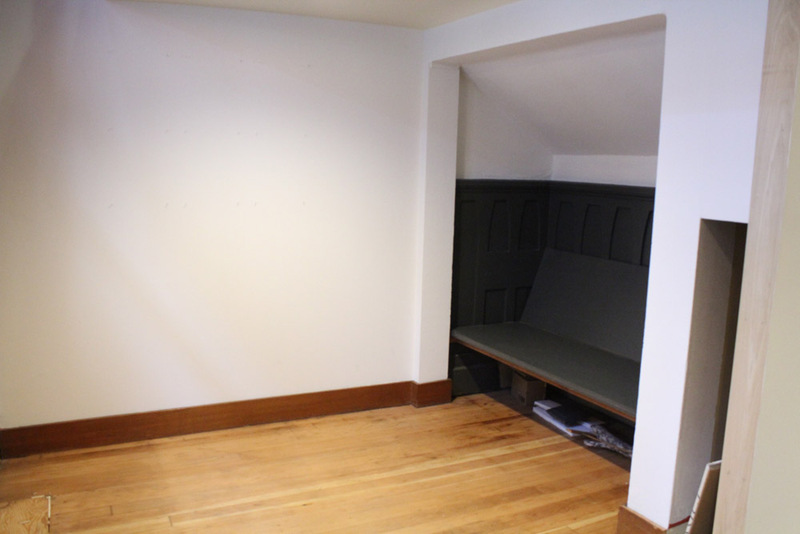 Cute built-in bench seat looks out the windows. It could also be replaced with a desk or work table. 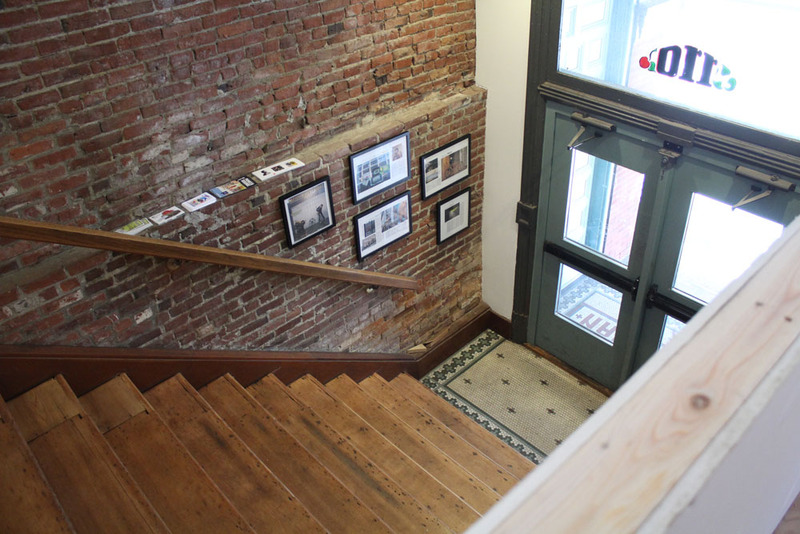 A second set of windows overlook the stairs and bring in some additional light.